With her proven track record developing winning strategies in the enterprise, she will be an invaluable asset for the technological and financial growth of our company. 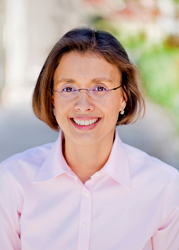 Egnyte, the market leader in Adaptive Enterprise File Services, today announced former EMC Vice President Isabelle Guis’ appointment to Chief Strategy Officer. As a proven leader in enterprise technology, Guis’ new role represents the company’s commitment to serving the high end of the enterprise market on a global scale and the rapid advancement of Egnyte’s hybrid technology. With Guis at the reigns of all key corporate initiatives, the company will take the industry head-on to effectively meet the goals and requirements of enterprise customers. She will drive global growth through the advancement of Egnyte’s product, partner ecosystem, and go-to market strategy across select verticals and regions. Guis brings a strong background and expertise in enterprise storage, cloud enablement and mobility, both domestically and internationally. Most recently, she served as vice president and head of Cloud Strategy at EMC and has previously held leadership positions with Avaya, Big Switch Networks, Cisco Systems and Nortel Networks.